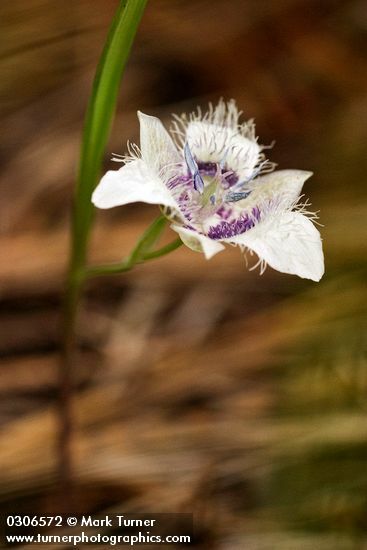 It was the annual Wildflower Festival at Mt. Pisgah (still can't say that without giggling) yesterday. I found out too late to plan to spend the day there. I had sent Dave and the kiddos off on a bike ride, as I was once again, having a moment about the Waldorf school. (I'm not quite sure why that organization can piss me off so fast and easily. Obviously I need to work on this.) Anyway, long story short, I sent the family off, with a minor detoured meet-up at Old Navy (whole 'nother post there) and ran my errands (WHAT? Still no organic GFCF chix nuggets at either Safeway! Crap! Now I have to actually try to cook some myself?) and came home around 1:30 for lunch. Sat down at the computer and saw that the Wildflower Fest was on until 4:00. Should I go? By myself (nice and not so nice at the same time)? Could I stand to be amongst a flock of people right then? Could I "just look" at the plant sale? Did I really want to take a guided wildflower walk or just take a solitary unguided walk and find my own flowers? If you guessed "not go" - ding, ding, ding - you're right! I rustled up $10 from my "emergency" piggy bank just in case I changed my mind or the trail I wanted to walk was too crowded up with crazy people (or worse - someone I knew from the -dun, dun, dun, dun - Waldorf school). But I was in luck. Mine was the only car at the trail spur parking and I only saw 3 people the 2 hours I walked. No one I knew. I did however, as it was my intention, see lots of wildflowers. The fawn lilies were past, I saw seed pods and leaves, but no more flowers. I made a mental note to come back for seeds in a couple weeks. I saw trilliums, nearly past but still lovely by the creek. Lots of camas, Oregon iris, Siberian candyflowers, inside-out flower, rose checker-mallow, lupines, wild roses, red columbines, checker lilies, the uncommon, unusually furry flower called "Elegant Cat's Ear". But the most lovely of all was the lovely "calypso orchid" aka calypso bulbosa. For a better view of this native Oregon orchid, I waded knee deep into poison oak, which, truth be told, is quite pretty this time of year as well. Shiny new red leaves and waxy, glistening green leaves just waiting to get you with their toxic poisons. Kind of like the Waldorf school (just kidding, couldn't resist). Anyway. 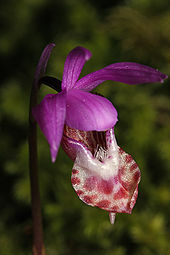 Ahem, back to topic, the calypso orchid is just gorgeous, tiny and delicate and not sturdy enough to transplant - it has some sort of symbiotic relationship with the soil fungi it grows with. 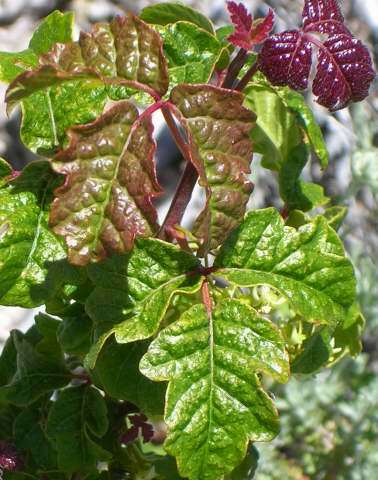 Plus, it seems to enjoy having poison oak as a neighbor, which is an effective security system, to say the least. All in all, it was a fabulous last-day-of-the-weekend-before-the-rain-starts-again walk. I have not, to my great surprise, come down with any poison oak rashes. I was as careful as I could be but off the trail getting closer looks at flowers far too often to be truly safe. I don't recall ever having poison ivy as a child in the south, but surely I did. Perhaps enough time has past for my immune system to have forgotten the toxic oils of the "Poison" plant family and my rash will come in a few days. Or perhaps, not likely but one can dream, maybe I am one of the few who are immune to urushiol oils. (Stop laughing - it could happen). Maybe you should re-challenge yourself with mango!